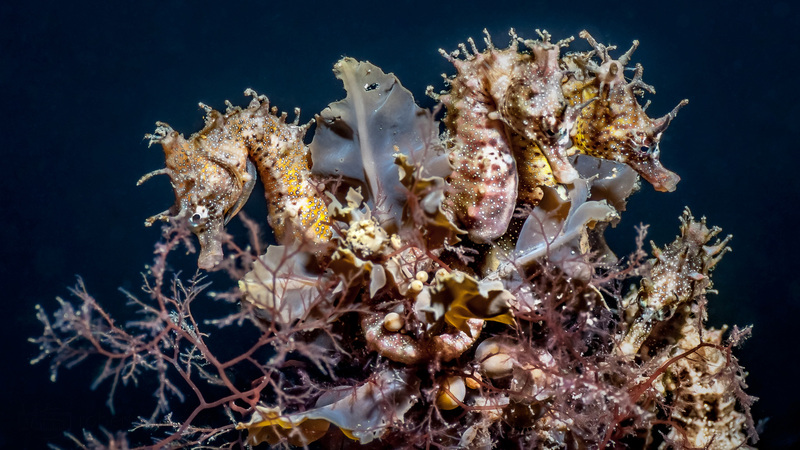 Going back over some old underwater images I saw an opportunity to re-edit an old favourite of four seahorses taken under Edithburgh Jetty. I at the time I was all precious about maintaining aspect ratio in all my images. Since then I have let that go and now crop and proportion as I see fit. Looking again at The Four Musketeers, actually they are short-head seahorses, Hippocampus breviceps, reminded me just how cute they are and how I am so much looking forward to diving and photographing them again. Would have to rate this as one of your best, amazing work, though you did have supermodels posing for you. He he thanks Gav. Love it when the talent co-operates!